Bentley award finalist ALDOT initiated reconstruction of the I-59/I-20 interchange in the Birmingham Business District. Exton, Pa. — Bentley Systems, Incorporated announced five infrastructure projects in the U.S. as finalists in Bentley’s Year in Infrastructure 2018 Awards program. The annual awards program honors the extraordinary work of Bentley software users advancing the design, construction, and operations of infrastructure throughout the world. Twelve independent jury panels of distinguished industry experts selected 57 finalists worldwide from 420 nominations submitted by more than 340 organizations. Anil Verma Associates, Inc., Regional Connector Transit Corridor (RCTC), Los Angeles — As the lead architect for the Regional Connector Transit Corridor (RCTC) project, Anil Verma Associates, Inc. (AVA) assisted with the civil engineering on the design of three underground railway stations in downtown Los Angeles for the Los Angeles County Metropolitan Transportation Authority (LACMTA). The US$1.7 billion building design project is a continuation of the Long Beach – Los Angeles Blue Line Transit System, expected to be completed by 2022. AVA used Bentley software (MicroStation, AECOsim Building Designer, and ProjectWise) to create 3D engineering models to be used throughout the project, and to facilitate collaboration across the project team. AVA assisted with the civil engineering on the design of three underground railway stations for the Regional Connector Transit Corridor project in Los Angeles. Anil Verma Associates, Inc. assisted with the civil engineering on the design of three underground railway stations for the Regional Connector Transit Corridor project in Los Angeles. CSX Transportation, Annual Patch Rail Capital Planning, Jacksonville, Fla. — CSX Transportation operates more than 20,000 miles of railway track and receives more than 5,000 annual requests to replace worn rail in the curve sections of the track. Using Bentley’s AssetWise Operational Analytics, CSX combined data from eight previously independent data sources used to evaluate the conditions for each request; this provided swift access to more visual and accurate information necessary for decision making. Bentley’s SUPERLOAD software helps IDOT to analyze thousands of roadway assets and tollway structures ILDOT in support of its Automated Permits System. Illinois Department of Transportation, Oversize-Overweight Truck Permitting System, Springfield, Ill. — The Illinois Department of Transportation (IDOT) is increasing the maximum load limit for auto-issued permits under its Automated Permits System (ITAP), enhancing the routing capabilities and incorporating additional map layers for improved accuracy and truck parking options. In conjunction with ITAP, Bentley’s SUPERLOAD software helps IDOT analyze thousands of roadway assets and tollway structures on a monthly basis, eliminating manual analysis and improving safety through proactively scheduled maintenance. Alabama Department of Transportation, Birmingham, AL I-59/I-20 Corridor Project, Birmingham, Ala. — The Alabama Department of Transportation (ALDOT) initiated the reconstruction of the I-59/I-20 interchange in the Birmingham Business District. The USD 750 million project required bridge construction works for 36 bridges, as well as roadway improvements. 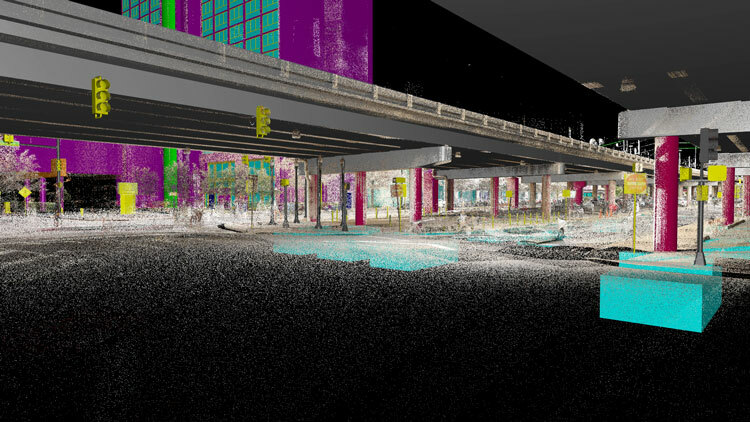 ALDOT utilized Bentley software (MicroStation, LumenRT, ProjectWise, Descartes) to initiate a BIM strategy and to create enlivened 3D models that provided stakeholders and the public enhanced visibility into the project. Winners will be announced at an awards ceremony and gala on October 18 during Bentley’s Year in Infrastructure 2018 Conference (https://yii.bentley.com), which will be held October 15 through 18 in London at the Hilton London Metropole. The conference explores innovations in software technology enabling infrastructure project delivery and asset performance, and features keynotes, interactive learning sessions, live technology presentations, panel discussions, and the finalists’ project presentations. View the list of 57 awards finalists at www.bentley.com/about-us/news/2018/august/07/yii-2018-awards-finalists-announcement.